Spring is on its way and I am getting the gardening bug. 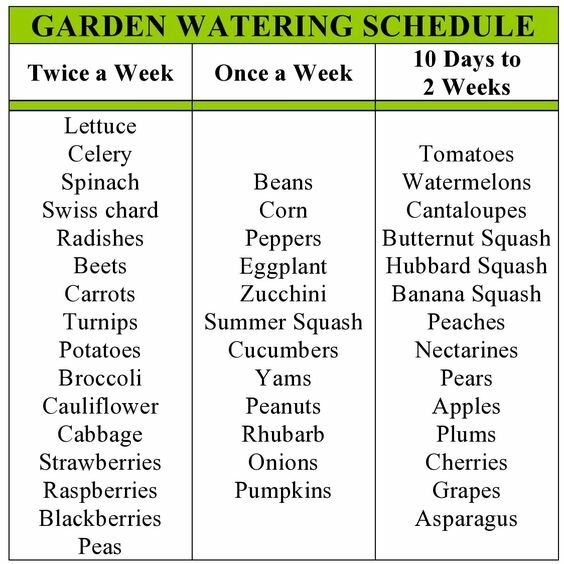 Too bad we are planning on moving in a few months, so a garden is not an option for me this year. Last time we moved I tried gardening in pots without success. I just couldn’t keep up with watering and moving and a new baby. So, for now I will share all of my garden inspirations with you. My darling hubby wrote this last week and I thought it was hilarious. You know, there are three types of pizza’s. There’s the Italian pizza, dripping with soft gooie cheese and done in a way that would make your heart sing. (To Lilly: You’re going to like it someday!) They know how to do pizza right! Then you have pizza. This is Americanized pizza. Basically someone somewhere took a loaf of bread and sat on it. Okay? Then they put some random cheese on it (any random sort will do). And then they threw toppings on it and called it pizza! Hopefully they sat on the bread before putting the cheese on it, or someone has a really messy bum. And then there was Little Ceasar’s Pizza. It’s almost like it’s it’s own food group. Instead of a loaf of bread, someone took an old breadstick and dunked it in water for fifteen minutes! Then they dried it out on a stovetop. Not in the oven, but on, the, stovetop! After that, they spread the most basic cheese over it. You know the kind! The one you walk by at the grocery store and almost feel sorry for it because you would never pick it! You know it will be there tomorrow and the day after until some lonely day little ceasars finds it sagging on the back shelf. Finally, You know they must make it look good, the toppings are top shelf! No, seriously! They are bought off the top because things get forgotten at the top as they are shoved to the back and out of sight. That’s where the big savings come from! “Um, this bacon is a week past it’s due date… what’ll you give me for it?” “…a dollar?” “SOLD!! !” And that is why you’ll now know there really are three types of pizza. Just don’t ask Little Ceasar’s. It may make you a little sick to think about, but they have to work there every day! Have pity on them like you have on that lonely cheese. When my hubby and I first got married we had pet cats. We started with two, then it became three, and then two disappeared and we asked my parents to take the remaining cat. Once they were gone we decided that life was better without pets. We had a little boy, who I realize now after having a second child, was/is high maintenance. My hubby was finishing his Bachelor’s degree and I was sick. It was just easier for us. I also decided that we would never have pets again. They were just too much work and my entire family is allergic to them. It just wasn’t a good idea. I secretly knew I would cave eventually, I just thought it would be another four or five years before it happened. The past few months I would occasionally get the idea that we should get a dog. I can honestly say it was not my idea. I have always had a hard time with dogs and in the past have been terrified by some “overly friendly” dogs. So when the thought enters my mind that, “your son needs a dog,” “your husband needs a dog,” “your family needs a dog,” “YOU need a dog,” I know that God wants my family to have a dog. He was shocked, and very happy. Because of our allergies we needed to find a poodle. We spent the entire day going from shelter to shelter, each one had a poodle but for different reasons we were not able to adopt it. Finally, at our fifth shelter, we found a poodle that was available. Better yet, it was the only dog the entire day that my children loved. They were frightened by every other dog, but this one made them laugh and squeal in a way I had never heard before. Well, now we have a dog. He is a sweetheart, but I am still having issues with having another pet. My children are crazy about him and he is obsessed with my hubby. He is severely depressed every time hubby leaves for the store or school. In honor of St. Patrick’s Day being this month and my hubby’s (and children’s) proud Irish heritage, we have named our new dog Blarney. It’s really strange using ‘blarney’ as a noun. I’m quite sure I’ve said blarney more in the past three days than I have in my entire life. P.S. I can’t help but share my favorite quote for the day from my kid’s tv shows. I haven’t really posted in a week or two because I’ve been stressed. When I get stressed it means that I’m overwhelmed with anxiety. It’s not usually about any one thing in particular, just a series of little things that most people would not even notice. But for me, all those little things linger and mixed with each other causing me to break down. This particular break down hasn’t been anywhere near as severe as last fall, but it has caused me to have a small social collapse. For the past three weeks I stay at home unless I absolutley have to leave. My husband has been doing most of the shopping and I haven’t been well enough to go to church. What makes it worse is that I feel guilty about it and that makes me want to avoid people even more. While I have been at home, even here I struggle with the social thing. Rarely do people call or text me, but my children love to snuggle and when I don’t want to be around people I also don’t want people touching me. Little babies and toddlers don’t understand that Mama needs space. Even as I’m trying to write I have a baby pounding on the keyboard while pulling my arm away and a toddler drooling on shirt and sticking his face right in front of the screen. Both are climbing all over me and driving me up the wall. So, I wait until hubby gets home and lock myself in our bedroom for awhile to regain sanity. While there I will work on my artwork. Drawing and painting soothe me and when I get anxious and stressed like I have been I tend to close myself off and only focus on my art. It keeps my mind focused on something productive. Otherwise I would psych myself out with all the little worries and concerns that mean nothing in the long term. Hopefully with all of this stress I will finally be able to finish one or two more coloring books to publish. I’ve been so scattered with everything going on the past year that I haven’t had much of a chance to focus on my drawing. I have two or three new coloring books in the works, it will just take some focus to assemble. Here is one of my favorite drawings that will soon be published. Enjoy coloring! 1. Mix all ingredients together in a bowl. 2. When it is thoroughly mixed, roll into 1 inch balls of goodness. When it comes to sweets I am all about Chocolate. Pure, creamy, scrumptious chocolate! I am very picky about what can be paired with chocolate as well. Caramel, cookies, toffee- they are all good. But until recently I had a firm, unshakable belief that chocolate mixed with peanut butter in any way, shape or form was a waste of chocolate. It didn’t just end with chocolate, however. Anything mixed with peanut butter, or peanuts, was just nasty and wrong.I hated anything peanut butter. As a teenager I even asked Santa Clause to stop giving me peanuts and peanut M&Ms in my stocking because I wouldn’t eat them. And then I had my baby girl. I had always heard about pregnant women having funny cravings and I even experienced some myself. (At one point I really did eat pickles and ice cream and it was GOOD!) I had even heard that occasionally a women’s taste preference can change permanently after pregnancy, although it’s not as common. Well, it happened to me. Ever since baby girl was born last April I have become obsessed with peanut butter. Seriously! it used to take me six month to a year to eat a small jar of peanut butter. Now I go through a large jar every week. I’ll be honest, part of the reason I gained so much weight last summer was because I was only eating Reeses Peanut Butter cups. Did you know there is a Reeses peanut butter and chocolate spread? It’s amazing! I would eat it straight out of the jar and when I was “trying” to be healthy I would spread it on cookies and rice crispy treats, veggies and crackers. Last night I “created” a new treat for myself. I adapted a copycat Reeses Peanut Butter Egg recipe into something that works for me. I think it turned out pretty well. My children couldn’t get enough of it, which is always a good sign to me. They can be very picky about the food I give them. I smiled at her and glance over at my husband who was trying really hard not to laugh. I didn’t say anything to my neighbor in response to the comment, just finished showing her to the door. Why was my husband laughing? Because my toddler is almost three and has been over-trained to use the potty. “What does that mean?” I hear you ask. Well, I will tell you. My son was born 6 weeks early and because of the pregnancy complications he was even smaller than most babies born that early, 3 lbs 14 oz. I was worried. I had only every taken care of big, healthy babies. So, I took to the internet. I read so many articles and blogs about parenting that I couldn’t even begin to list the subjects. It became my crutch. If anything happened, I looked it up and feared the worst. After a week of him being fully trained I was done. I gave up on both the potty and the cloth diapers. Once every week or two we would have him use the potty on his own, but over time that even died. Then, when my son was about 18 months old he started showing the “signs” that he was ready to be potty trained. He would take his diaper off right after it was used, he didn’t want to wear a diaper, he would let me know when he needed to poo, etc. So we started potty training again. 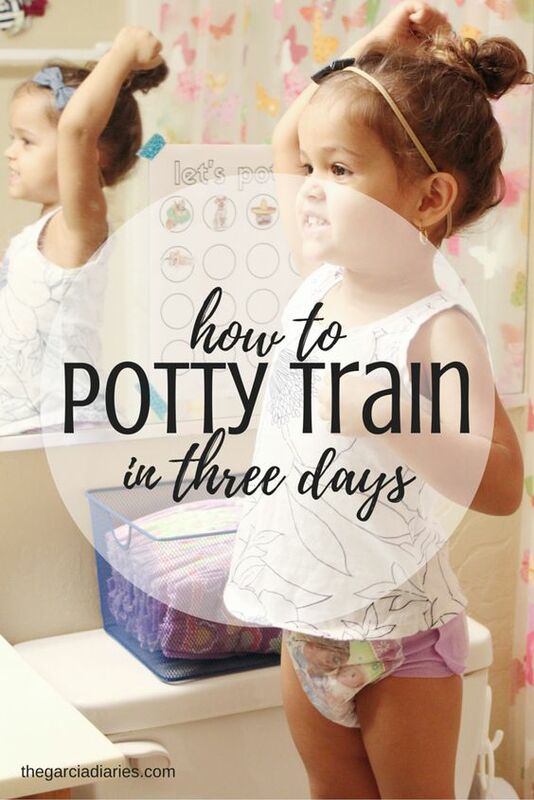 This time I researched different ways to potty train. We tried rewards, stickers, going every 20 minutes, going every hour, constantly asking if he needed to go, watched all of the potty training TV shows, etc. This went on for about 4 months before he finally started doing it on his own. Yea! Success! That last for about two weeks and then little sister was born. All those months of work went right out the window. He was back in diapers. We moved and then two months later moved again. 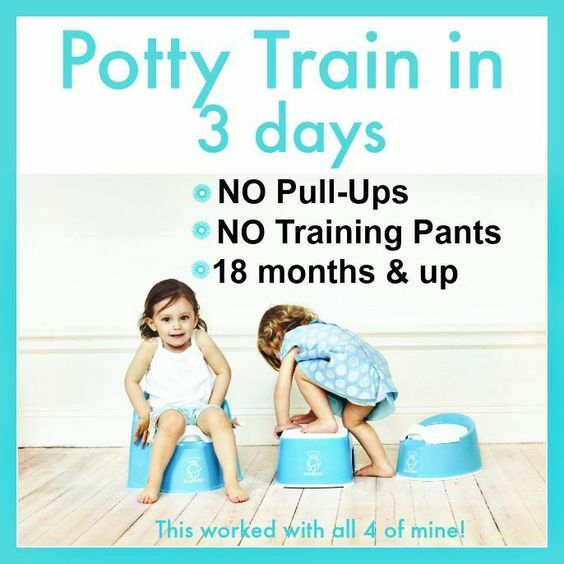 Now little sister is 10 months old, my son is almost 3 and, once again, we are potty training. This time it has been going on for about three months. Let’s just say that we no longer have a rug in the living room, I have to wash 3-4 loads of laundry each day, and poo-tastophies are a normal occurrence. After all of that I can safely say that I know how to “Over-train in Potty Training” and I don’t mind if little sister wears diapers for another year or two. Bonus: I just learned a new skill! I can now diaper a toddler without waking him up. Yea! A few days ago I turned 34. It’s not that old and I certainly don’t feel old, but then I think back to high school and I realized that was half my lifetime ago. What?! Yeah, I was 17 only 17 years ago. I know it’s a, “well, duh!” kind of a statement, but it freaks me out a little bit. So, all of this age calculation that has been going on in my head has lead me to remember a lot of things from High School that I usually don’t think about. In particular, this morning I was remembering a play that my drama class performed in my sophomore year. The teacher cast all of the roles for the play based on a 2 minute monologue we had to do complete with costumes and props. I went all out for my monologue and had a blast doing it. The monologue itself was a teenage girl talking about her friends and the ciaos that happens in her life. I dressed up like a “Valley Girl,” had 1980’s music playing at the begging of my scene, and totally spoke, like, a major valley girl. Okay, like I totally received an A and, like, my girlfriends all thought, like, my acting was totally bodacious! The one act play was about a girl taking a test while all of her classmates act crazy, wear strange clothes, and just have fun on stage the entire time. As the mother I came in towards the end of the play to reveal that the girl had fallen asleep while studying for the test. A few years ago I found a copy of the script when I was going through my old school papers. It’s amazing the perspective 10 years can give you about an experience. I read through the play and realized that the part I was given was the most important part in the play. Yes, the main student had the most lines and the rest of the class was acting crazy on stage the entire time, but I had the second highest number of lines and without my character the play didn’t make any sense. I was greatly humbled by this revelation. All those years I thought I wasn’t “good enough” and in reality I was greatly trusted and important. I also realized that one of the reasons I didn’t feel good enough was because the main role was given to a girl I was extremely jealous of. She was thin, had gorgeous red hair, was popular, and her boyfriend was a guy I had a crush on for several years. Also on my list for this next year are: regain control on my eating disorder, watch less TV, and bake one new recipe each month. I have made a cute coloring page as a FREE download so you can make your own Birthday Bucket Lists. Enjoy! This past week has been a challenge. I have 2 sick kiddos (head cold, ick!) and have felt under the weather myself. The sudden change in Utah weather certainly didn’t help my bipolar depression at all. We went from a sunny, warm winter at around 50 F to 2 feet of snow within 12 hours and temperatures constantly below 35 F.
On the bright side, I received one of my birthday presents early and was able to use it for the first time yesterday. It was so much fun! I love baking but I am sensitive to wheat, dairy, eggs, and corn which makes baking almost impossible. Almost. Like most gluten intolerant people, I have to blend my own flour. This usually entails buying several different types of flours wheat-free and mixing them together. This helps with the texture of your baked products, so they don’t turn out too heavy and dense. While I would love to experiment with baking different recipes using this new type of flour, I can’t afford to do so. Wheat-free flours are incredibly expensive and I don’t really understand why. I most commonly use rice flour in my bakes. You can buy a large 20 lbs bag of rice for about $10 at the grocery store. To buy the same rice in flour form you pay $8 for a 2 lbs bag. I kid you not! Now, I can grind my own rice flour and make all of the wonderful things I have been dying to try but haven’t dared. With my hubby being the sole provider on a teacher’s salary, money is tight and I don’t want to $20-50 a month on failed baking attempts. Now, I can bake and bake and bake. I’m so happy! It’s hard for my family to find foods that we can all eat and enjoy. With so many different allergies and taste pallets it can often be a nightmare. That is why I was so excited to find this recipe! Who would have thought chili would be something my toddler would love to eat? I still find it difficult to believe at times, but it’s true. My version of this recipe calls for extra tomatoes, extra celery, and half the meat. It has the same fantastic chili taste, but it is even healthier and cheaper (which makes my hubby happy). With just a little bit of prep, I can throw it all into the Dutch oven or slow cooker and let it sit while I take care of my little ones. Prepare all ingredients and mix them together. Bring to a simmer and allow it to cook for at least 2 hours. Serve and enjoy! I am a new SAHM (stay at home mom) and I love it! I have a fantastic hubby, two adorable kids and a huge love of art. Join me as I share my thoughts on various artworks and my day-to-day life.